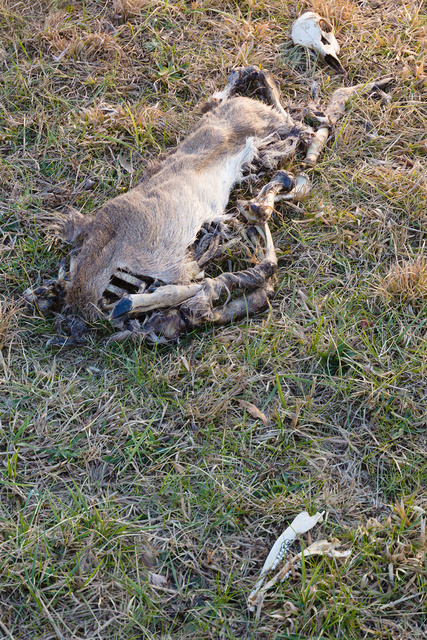 Found deer remains on the property adjacent to mine. Not sure if it was hit by a car or taken down by coyotes, more likely the former. The 45mph road is only 10 yards away. No extra holes in the back of the head, so probably not a victim of either Mafia, OGPU or Hillary Clinton. This entry was posted in beast, nature and tagged corpse, death, deer. Bookmark the permalink. Made to look like an accident. 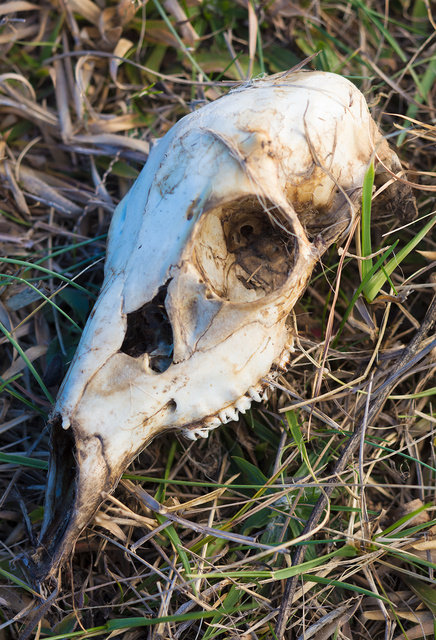 Hit by car, cleaned up by coyotes, little evidence left behind.